DID YOU HEAR WHAT MARK DRISCOLL SAID? THEN WHAT RACHEL HELD EVANS SAID ABOUT WHAT HE SAID?! AND MICHAEL GUNGOR?!? AND JOHN PIPER?!?! AND ROB BELL?!?!! AND MATT WALSH?!?!!!?!?!?!!?! Since joining Twitter a few months ago, these are the kinds of links and statements that stream into the world of social media. Similar links and statements appear on Facebook, some of them church-related, while Buzzfeed quizzes and Fox News "reports" vie for the rest of our attention span. It's the Christian version of tabloid journalism. 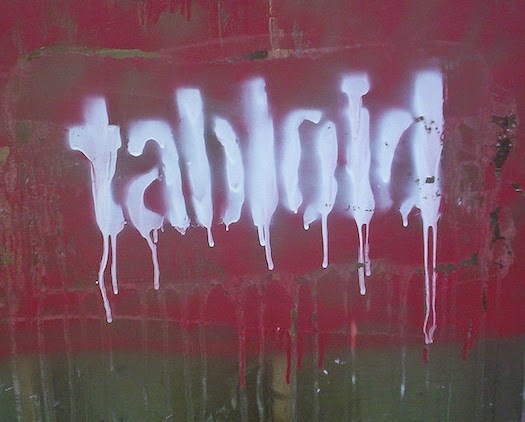 Tabloid journalism tends to emphasize scandalous crime/legal stories and gossip about the personal lives of celebrities. They use aggressive tactics and volatile story-of-the-week moments to get more readers to indulge. With the advent of social media and instant information, the innate human desire To Know More About Everything is piqued. 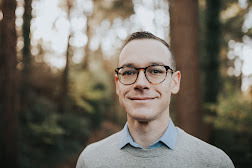 We read about Driscoll being asked to step down from Mars Hill, or about Gungor not believing in a literal Genesis, or about John Piper bidding farewell to Rob Bell** and we feed on those links like it's Shark Week. Twitter and Facebook have become online Christian tabloid sources, increasingly becoming more volatile, reactionary, and temporary. To be fair, not everyone I listed above as examples should be considered a Christian tabloid journalist. Many are writing and creating excellent content intended to inform, challenge, and encourage the online Christian community. Yet many in their audiences are the quick-sharing, quick-clicking, quick-liking or -favoriting folks who feed their minds primarily on what they read on the Internet. I know this because I'm doing my best to shepherd many of these social media-driven people, particularly the emerging generation of teenagers and young adults. Why do we do this? I offer two possible reasons: 1) the cult of Christian celebrity, and 2) our culture of immediacy. When we place Christian pastors, leaders, and writers on pedestals--or they place themselves up there by building their platforms--we can quietly and eagerly anticipate the moment when they'll fall. We also place a significant amount of weight to their words and actions, a weight they cannot carry as fallible people. Add this cult of celebrity to a culture that values receiving everything NOW--food, coffee, information, love, success, etc.--and we can begin to see the beginnings of the Christian tabloid phenomenon. I'm writing this because I'm part of the problem. I quickly give in to my impulse To Know More About Everything and end up neglecting the important things I actually would need to know and experience. I can quickly give in to scanning RSS feeds over and above reading the Flannery O'Conner or Marilynne Robinson novels I'm attempting to finish. I can check on my feed instead of being present with my wife and children. More than anything recently, I've been convicted at my lack of prayer for the individuals and churches--real people--involved in these articles and posts. Instead of just critiquing or sharing links about Driscoll, Evans, Gungor, et al, I need to pray for them as fellow brothers and sisters in Christ, real people with real stories, real wounds, and real hearts. I wonder what would happen in my heart (and theirs) if I devoted my impulse to scan online feeds towards prayers of encouragement, peace, grace, and joy for others. The title of this post is misleading; you may not be shocked at all by my musings. I only hope they'll lead to a more thoughtful, prayerful, slower pace and posture in our culture of immediacy. Why do you think the Christian tabloid phenomenon exists? What can be done to improve our use of social media in order to be salt and light? ** Wait, that was, like, 3 years ago, which is essentially the medieval ages in social media. Thank you, Joel! I have been thinking the same thing about prayer and my desire to know more of what is going on. As well as noticing my own lack of attention to the things that really matter because I am so engrossed in the next big news story. I appreciate you.